Kavanaugh Pal Mark Judge Agrees To FBI Questioning - Joe.My.God. 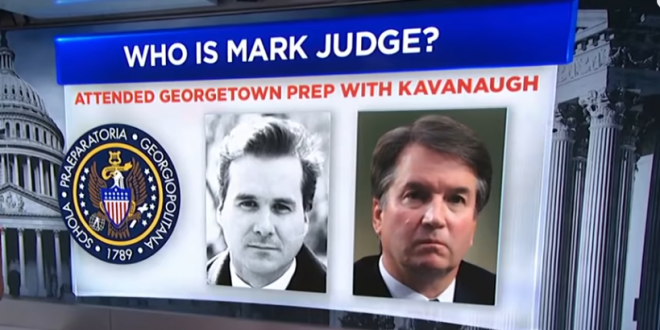 A lawyer for Mark Judge, the high school buddy of embattled Supreme Court nominee Brett Kavanaugh, told CNBC that Judge “will answer any and all questions posed to him” by the FBI about serious sexual assault allegations against Kavanaugh. “If the FBI or any law enforcement agency requests Mr. Judge’s cooperation, he will answer any and all questions posed to him,” Judge’s lawyer Barbara Van Gelder told CNBC in an email. JUST IN: Lawyer for Mark Judge, HS friend of Judge Kavanaugh who was ID’d by Dr. Ford as having been in the room during the alleged sexual assault, tells @CNBC that Judge “will answer any and all questions posed to him” if requested by any law enforcement agency.